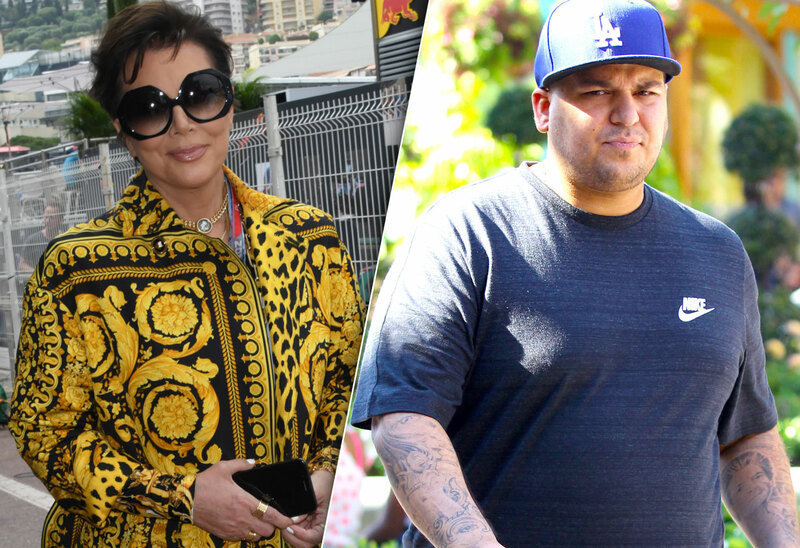 Kris Jenner Fed Up With Unappreciative Rob Kardashian! The broke reality star is mooching off his mom. Kris Jenner graciously let son Rob Kardashian move in with her after he lost his house. But now the momager is getting tired of all his complaining! Click through the gallery for all the info on their family feud. Rob, 31, recently revealed that he’s so broke he lost his home, forcing him to move back in with mom. The news came out because he’s trying to get his $20,000 a month child support payments to Blac Chyna lowered. He claims he can’t afford them anymore, and that they’re the reason why he’s in massive debt. Thankfully, he’s had mama Kris, 62, to help keep him from going completely under. In addition to giving him a bedroom in her mansion, she took over part of his Arthur George sock company to keep it afloat. But now, Rob is apparently unappreciative of his mom’s help and driving her crazy in her Hidden Hills home! For all the info on Kris’ frustrations with Rob, check out the newest issue of Star, on newsstands now!